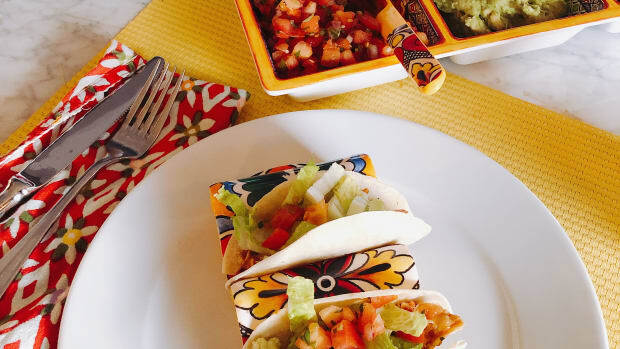 Sometimes, Mama needs to step outside her kitchen and her comfort zone, push boundaries instead of strollers, and find a new hobby, you know, outside of shuffling her kids from their various pursuits. I&apos;m (mostly) kidding, but, in truth as a full-time work-from-home working mom, I often feel tired and restless and uninspired. Not that I don&apos;t love my life and love my kids and love my day-to-day role, I do, I really do. I just occasionally need to break free from my regular ole routine to reenergize my body and refuel my soul. 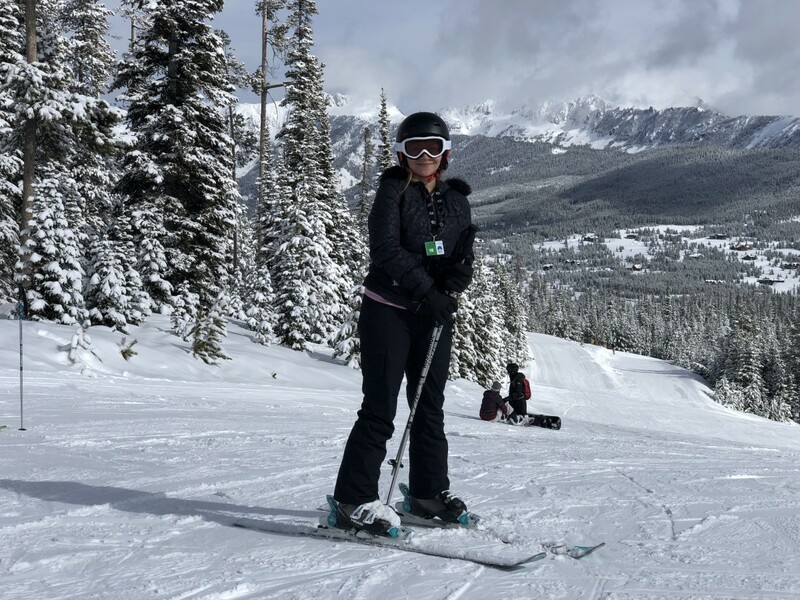 And so when I was asked to go to Big Sky, Montana earlier this month to represent Momtrends on our #MTBigSky influencer ski trip, I was excited; I was nervous; I was totally on board. 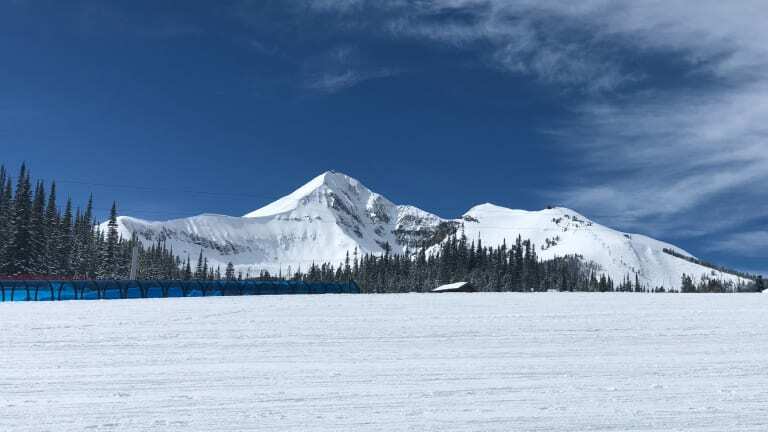 Affectionally known as the Biggest Skiing in America, and an hour from Bozeman airport, Big Sky boasts seemingly endless terrain under an infinitely vast blue sky. 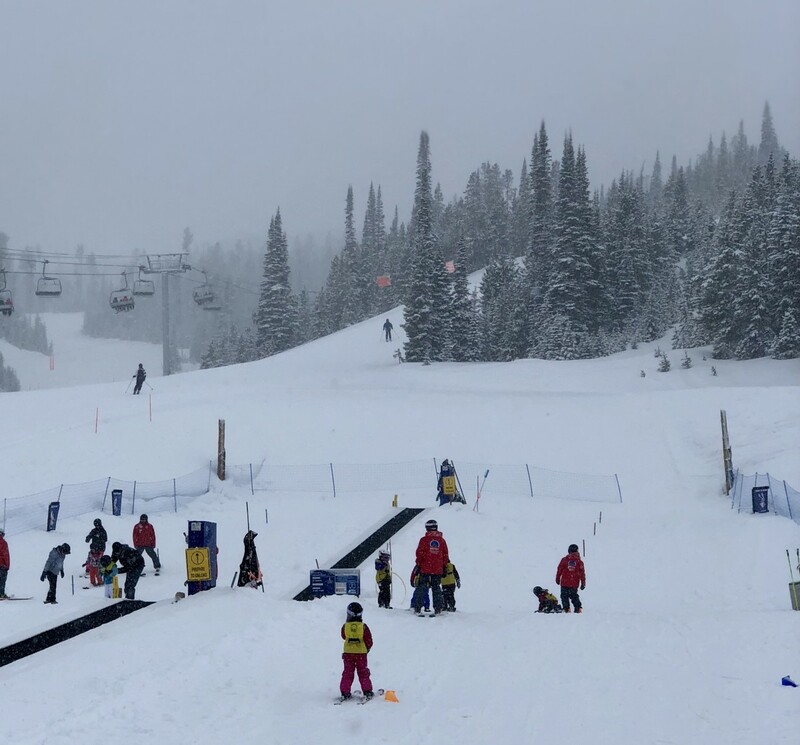 With a whopping 5,800 acres, 300 runs on four connected mountain, and 24 lifts, the resort&apos;s massive size ensures that, even on the busiest peak ski days, there are few lines, less crowds, and ample space to freely, widely, and openly traverse terrain. 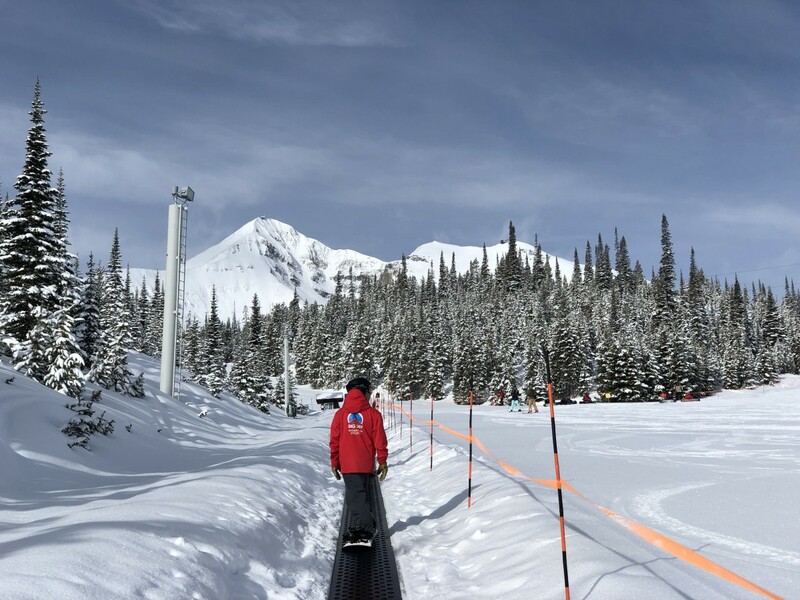 Big Sky usually sees an annual average of 400 inches of snow, but the weather gods were especially kind to Big Sky this season, making it one of the most desirable destinations for those chasing fresh powder. Regardless of your age and skill level, it&apos;s always helpful to refresh at the beginning of your ski trip with a lesson. As an extreme beginner, I was happy to start my Big Sky ski adventure with a half-day (two and a half hour) group lesson. As a novice, the group setting is comforting and encouraging--there&apos;s a distinct feeling of camaraderie. 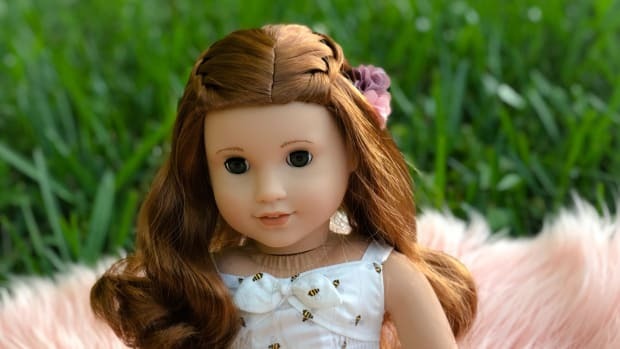 Alongside, six new friends, I reviewed the fundamentals and regained my confidence. By the final hour, we rode the long magic carpet to the top of a practice bunny hill and successfully traversed the whole way down. 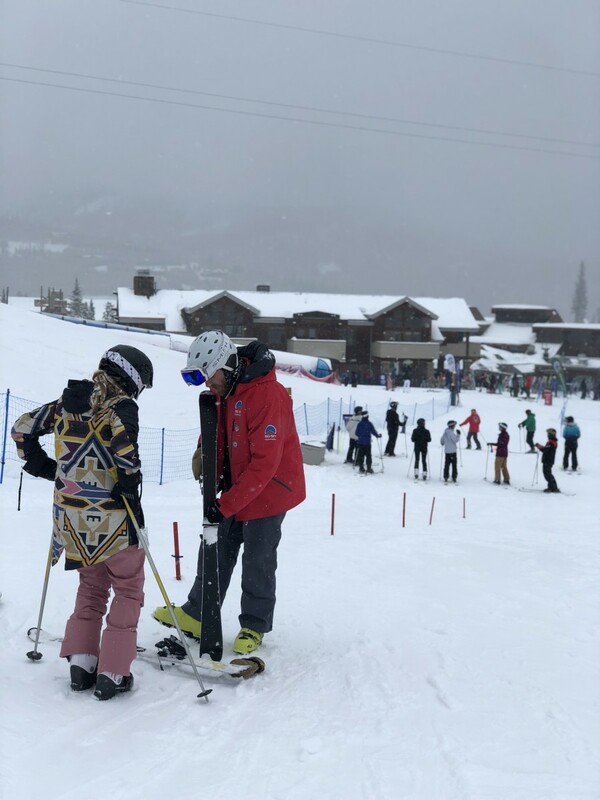 In short: a professional guide will help you step it up a notch--I was blown away by the knowledge and professionalism of Big Sky&apos;s instructors. 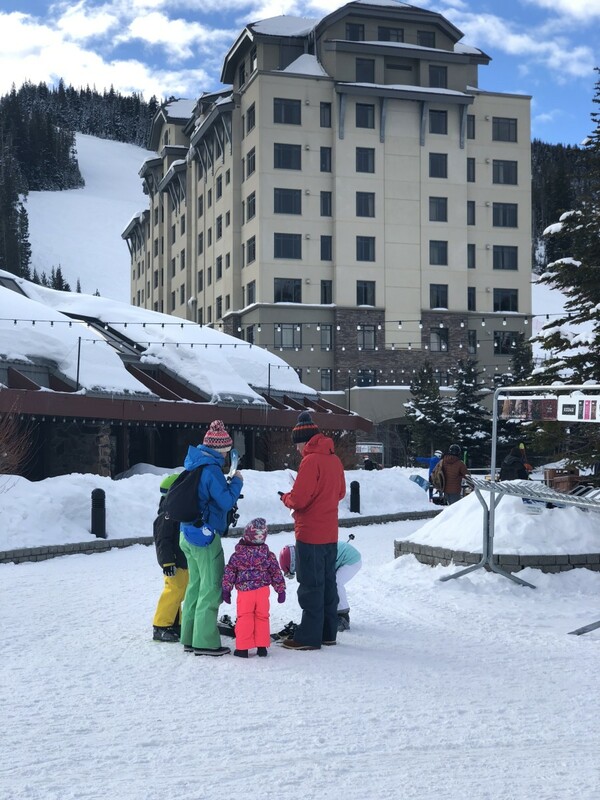 A private lesson, group lessons, or a guided ski to familiarize yourself with the mountain--choose what&apos;s right for you and book it in advance. Think of it as a investment in your ski future and the overall success of your trip. 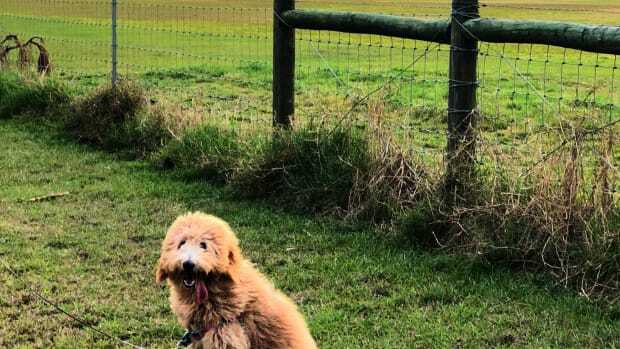 After Beau and I parted ways on that second day, I went back for more on my own--proud of my newly acquired confidence and ever-improving sport. 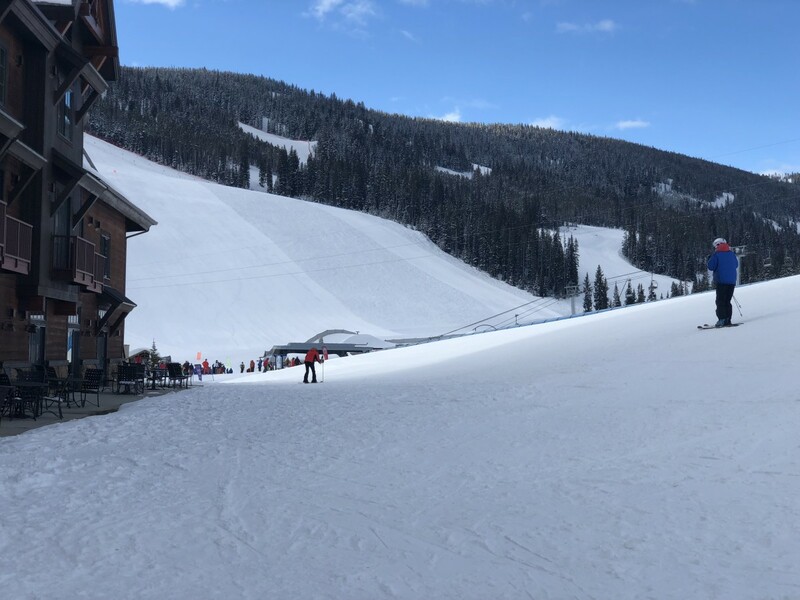 For beginner-to-intermediate skiers, both the Mr. K run in the Swift Current area and the Southern Charm run in the Lone Moose area and cannot be missed. (They&apos;re favorites even more experienced skiers.) Of course, my rudimentary ski skills we better than my map-reading abilities, and so I did find myself in a precarious situation in blue territory after a wrong turn. So what did I do? I took of my skis and hiked down the mountain--I say: challenge yourself... within reason, of course, and know your limits. These Montana blues are no joke. 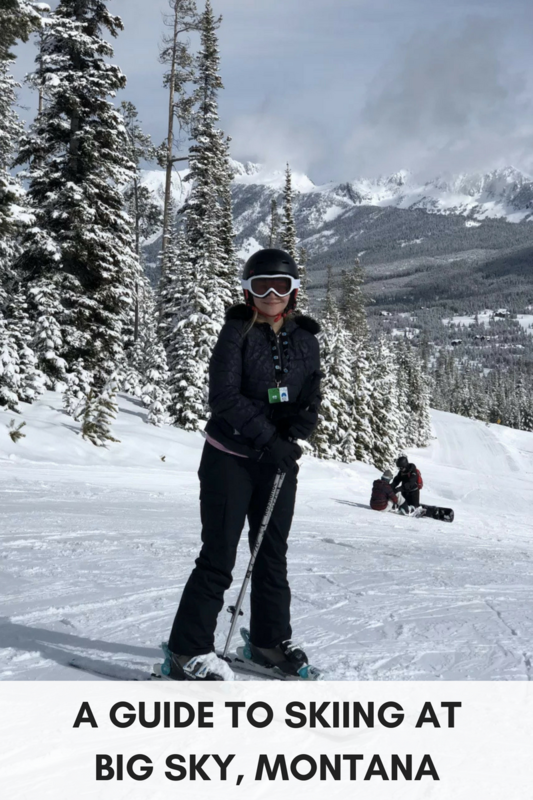 Speaking of "blues," my blogger friends and Big Sky companions (Brianne of Stroller in the City and Stephanie of City Moms Blog) skied a blue trail to take the tram up to the tippy top of Lone Peak at a staggering 11,166 feet elevation. 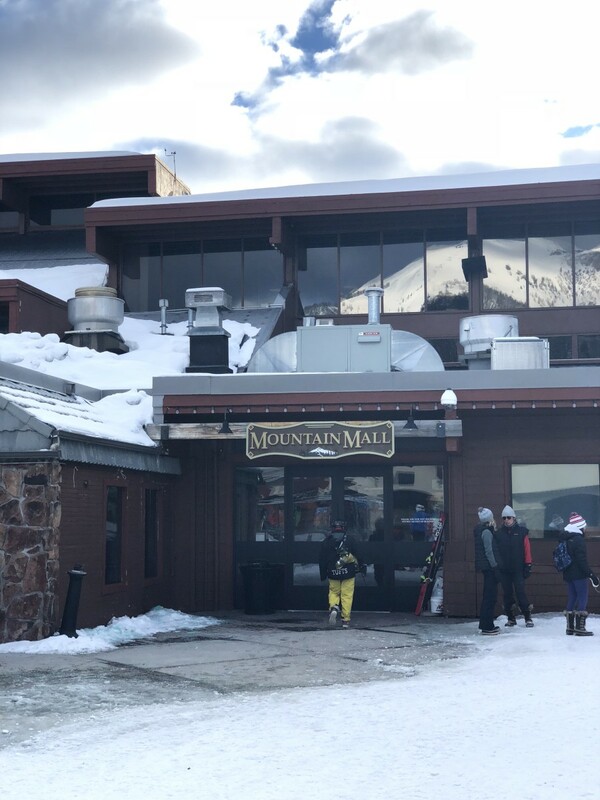 For the wee ones, there&apos;s a fabulous on-site day care--right next to the ski school--so parents can drop everyone in one fell swoop. Unique to Big Sky there&apos;s also a nightly Kids Club--two hours of free (yes, totally free!) 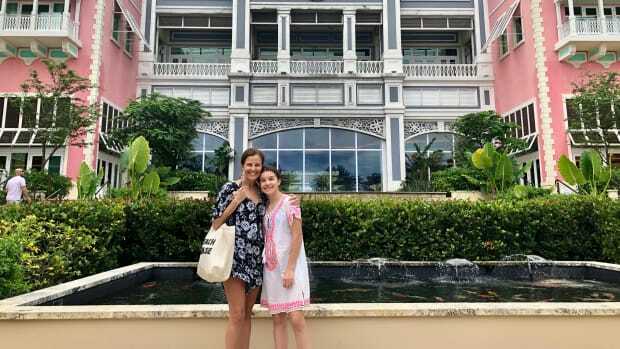 childcare for anyone staying on resort property. Because, date night is calling. 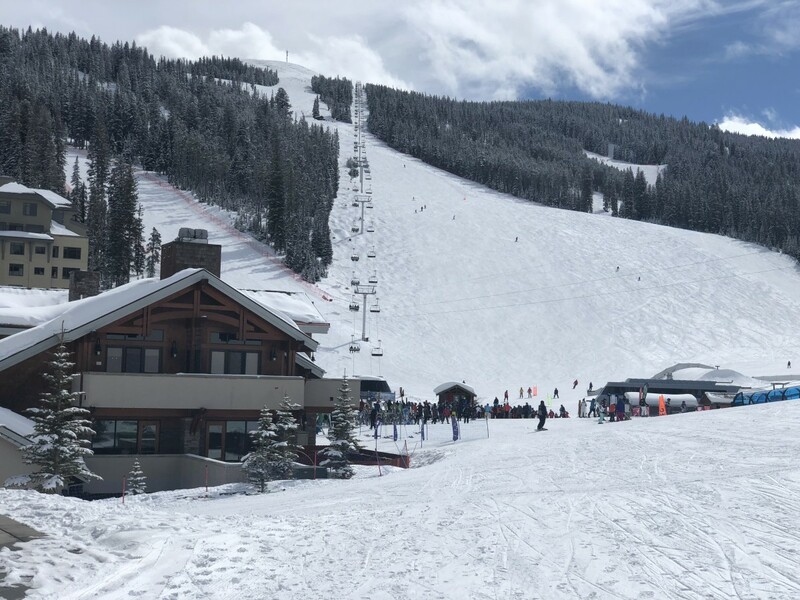 There are a plethora of convenient and comfortable slope-side hotels, inns, cabins, and condos at Big Sky village. For our #MTBigSky trip, we were fortunate to stay at Village Center. With studios and suites that accommodate up to ten people, Village Center is a great option for groups, families, couples, and singles. 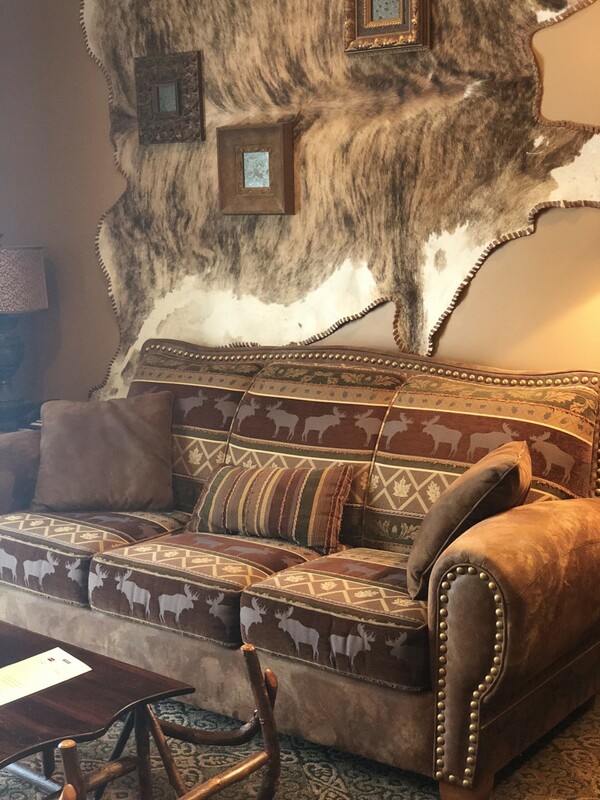 My spacious and well-appointed studio boasted a surprisingly comfortable murphy bed, a plush leather cowboy couch, cozy fireplace nook, convenient kitchenette, and patio with a view. 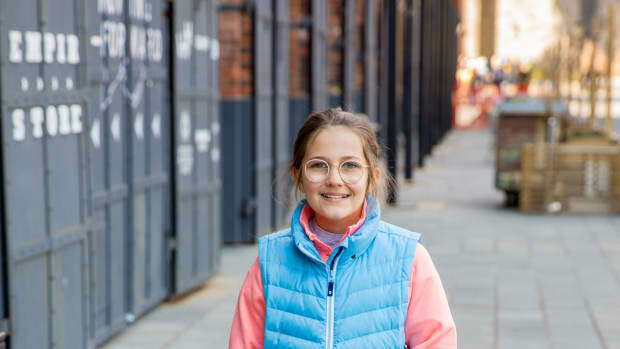 Located along the main pedestrian walkway in Big Sky&apos;s Mountain Village, the Village Center offers the convenience of shopping and dining within steps of your front door. 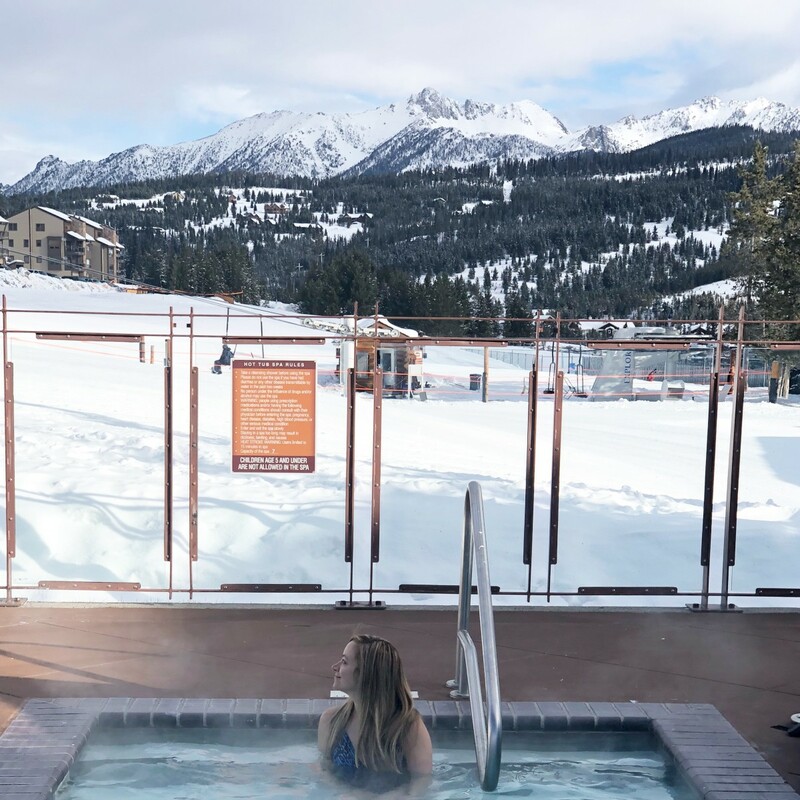 A ski valet just outside the second-floor entrance, epitomizes the ski-on-and-off lifestyle; but the mountainside outdoor pool really is the piece de resistance! 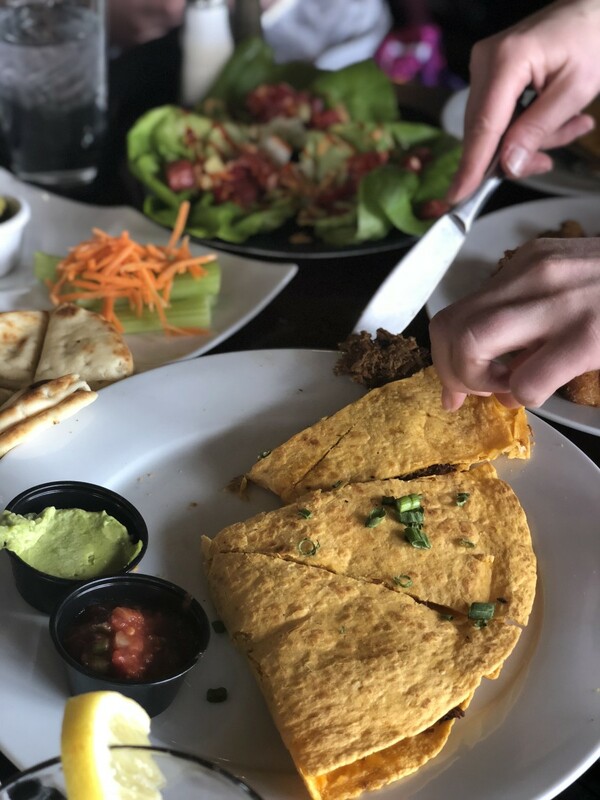 Huntley Dining room: The ultimate morning breakfast buffet has it all from the sweet to the savory, the healthy to the indulgent, and everything in between--from pancakes and omelets to oatmeal and biscuits with gravy. Included in many packages, you can fill your tank and your belly with a mega meal before your major workout. Tip: Show up early--there&apos;s a long line and wait as the 8 AM hour approaches. Oh, and BYO coffee--for some reason, I found the java to be watery and weak; but, rest assured: the bacon is crisp and flavorful. 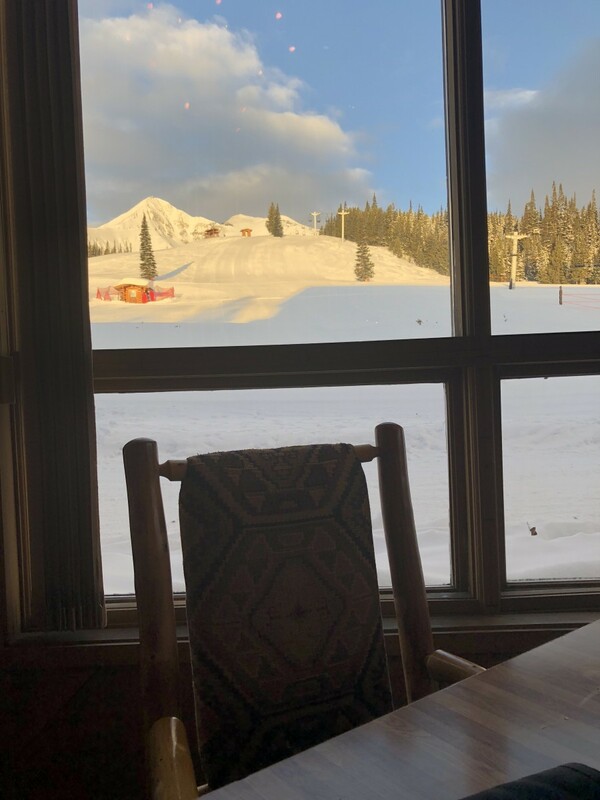 Everett&apos;s 8800: Located on top of Andesite Mountain, Everett&apos;s 8800 boasts stunning views of Lone Peak Mountain and the surrounding ski slopes from its expansive deck and indoor-outdoor dining area. The elegantly rustic ambiance is balanced with a down-to-earth menu (the French onion soup is not to be missed.) 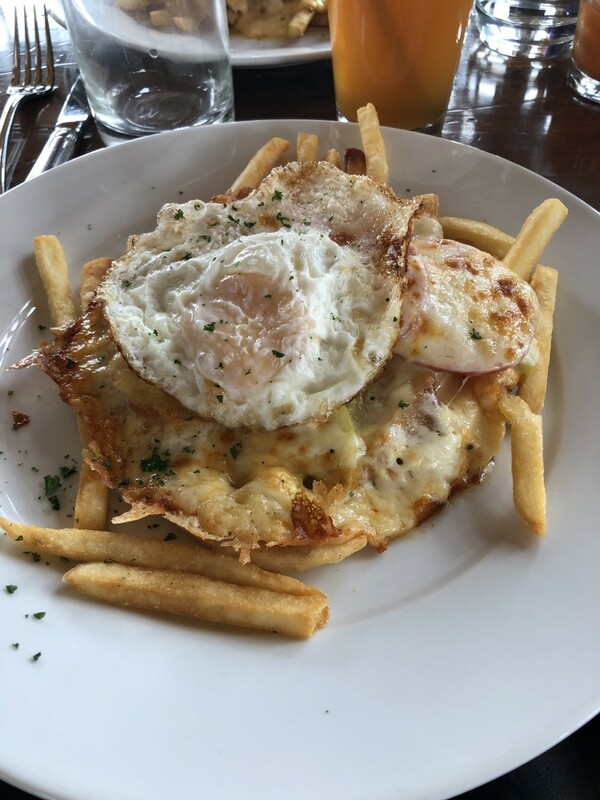 The grilled cheese balances on a bed of pom frites--and is a good share. Note: You do have to ride the lift up. As an amateur on her first full ski day, I decided to ride back down after lunch rather than push myself on a full stomach. It&apos;s worth the two-way ride for the spectacular views and elegant ambiance. 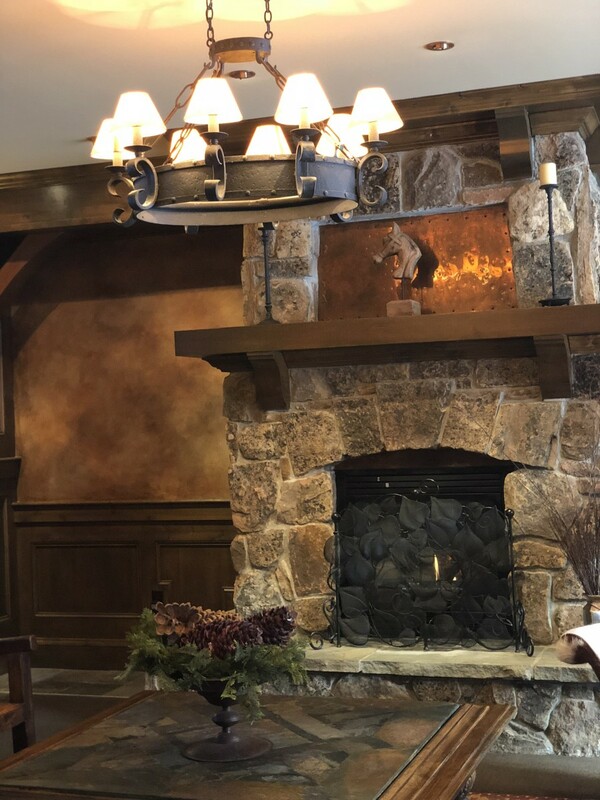 Andiamo Italian Grille: We kicked off our first night at Big Sky at this classic Italian eatery. With interesting pasta dishes and a range of tasty tuscan meals, custom cocktails, and fine wines, this first floor Village Center restaurant is a great date-night destination. Tip: Order the boar starter and the potato-pillow gnocchi entree. 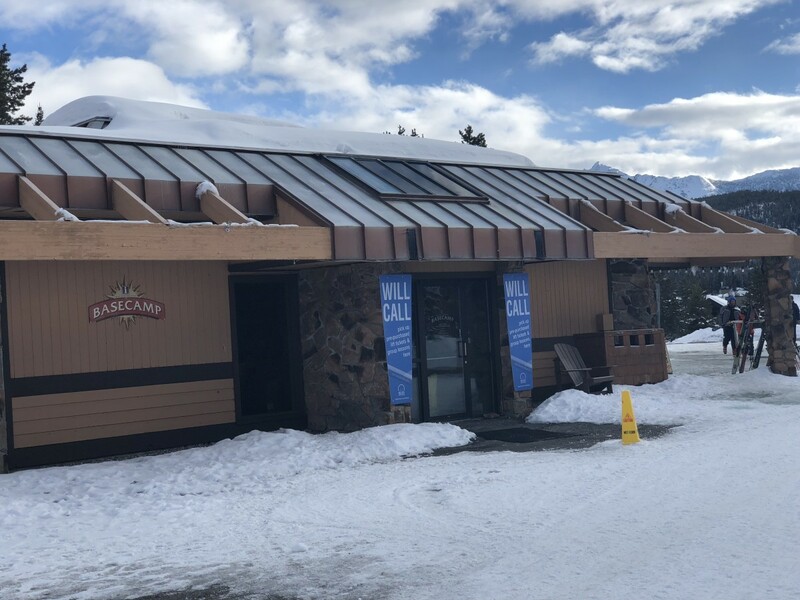 Carabiner: Located in the Summit Hotel, the Carbainer is the ideal slopeside place to #aprésallday--or, you know, enjoy a light lunch with a Bloody. 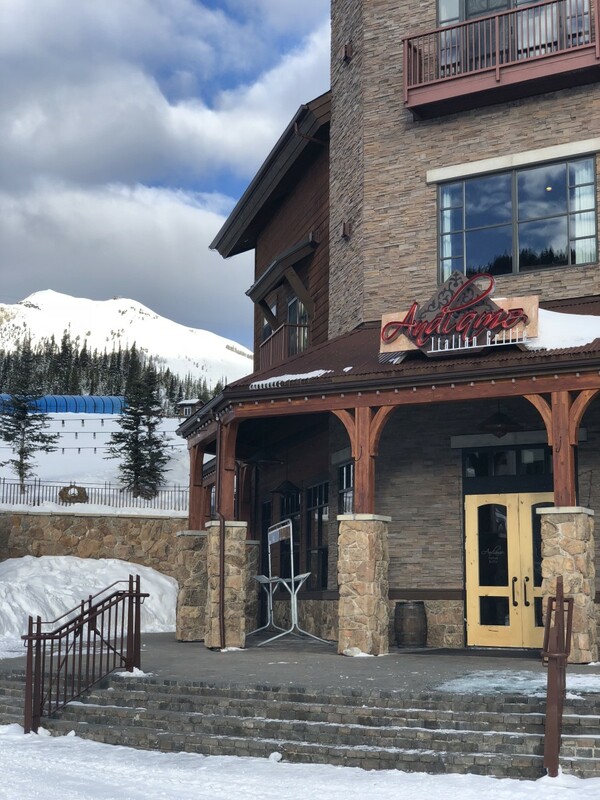 It offers spectacular views of Lone Peak, a delicious gastro-pub inspired menu, fire lit patio seating, and live music. 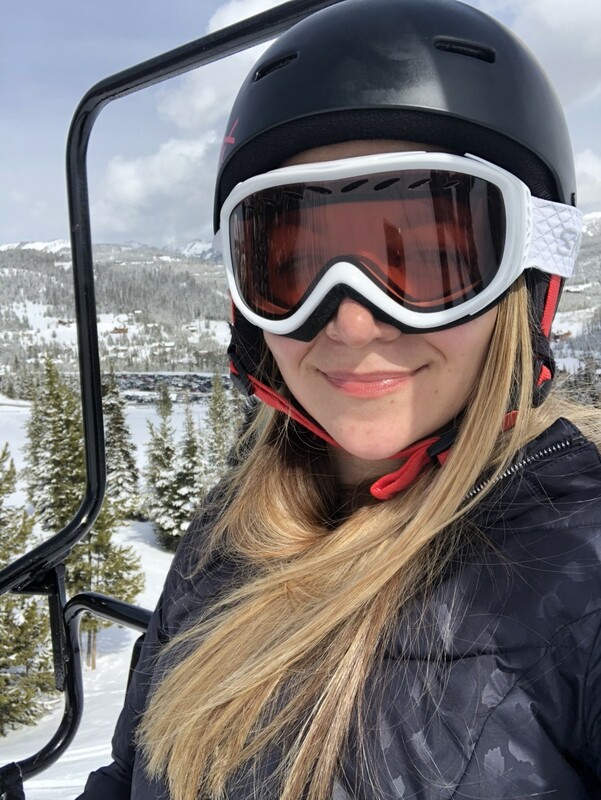 If you had told me a year ago that I&apos;d become a skier at 36, I would have laughed and rolled my eyes. Alas, here I am; and I&apos;ve learned that the mountain air and downhill exercise is good for the body, mind, and soul. Of course, even the most avid skiers need a day off during a long ski-vacay stretch. Luckily, Big Sky has a lot more to offer guests. Visit the village base camp to book excited adventures: winter zip lining, bungee trampolining, and snow mobile tours are just a few exciting ways to catch a break. A mountain mall with souvenirr shops, ski stores, and a luxury fur boutique will satisfy all your shopping wants and needs. We&apos;ll be sharing some other amazing off-mountain activity ideas in another post coming soon! Stay tuned. 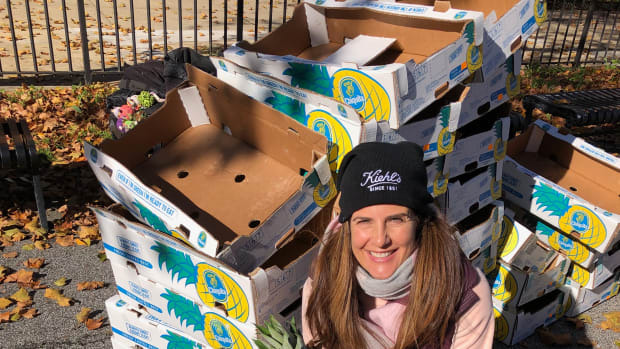 While the season is not yet over and winter conditions make way for spring skiing, it&apos;s time to plant the seed and start planning for next year. With major investments and upgrades coming down the pike, Big Sky&apos;s season 2018/19 pass lineup is now available; and it&apos;s now part of both the Mountain Collective and Ikon passes. A new state-of-the-art, 8-seat, high speed chairlift – the first of its kind in North America. 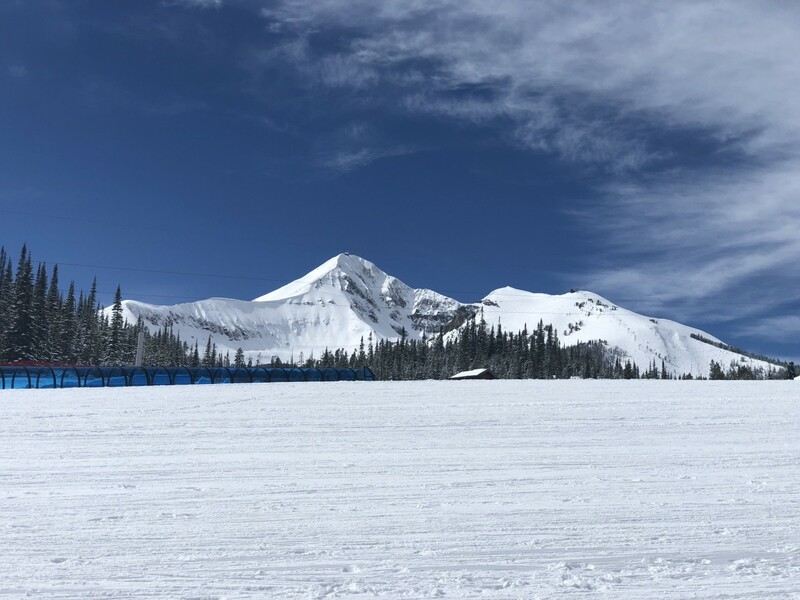 will service riders on Andesite Mountain with its heated seats and “Big Sky blue” bubbles; and enhanced dining option will elevate an already incredible experience. But, still, why Big Sky? Suffice to say, my trip was eye opening, mind boggling, and, ultimately, enriching. As a destination, Big Sky is breathtakingly beautiful and totally off the beaten path. This is not a luxury ski vacation. It has all the charm in the world, but it&apos;s not fancy. It&apos;s down-to-earth and welcoming and warm (well, by the fire, at least) and lovely. It&apos;s Montana, and it&apos;s pure magic. 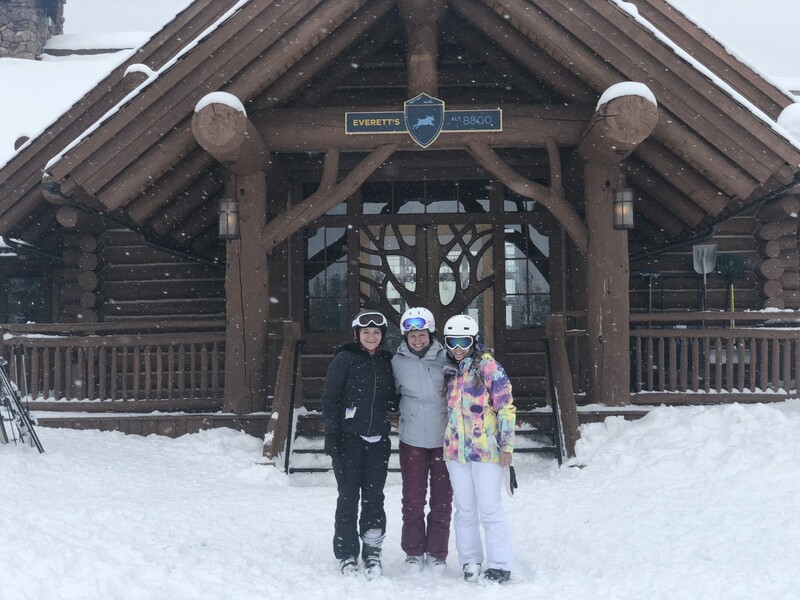 I had an amazing time on the slopes and off, but leaving feeling like a skier was an accomplishment of epic proportions for this risk-avoiding mama. This is a sponsored post and travel was hosted. All opinions are our own.